I haven’t yet blogged anything about the Jumpers, so I’ll fix that right now. 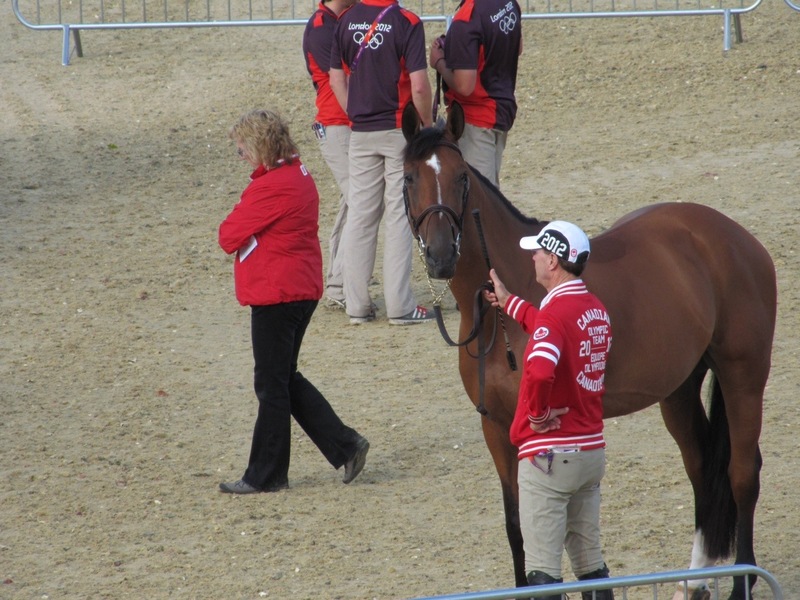 The Jumpers arrived on August 1st, the morning after the Eventing horses moved out (the Jumper horses took the Eventing stalls) and the same morning that our Eventing athletes & support team shipped out to the airport. 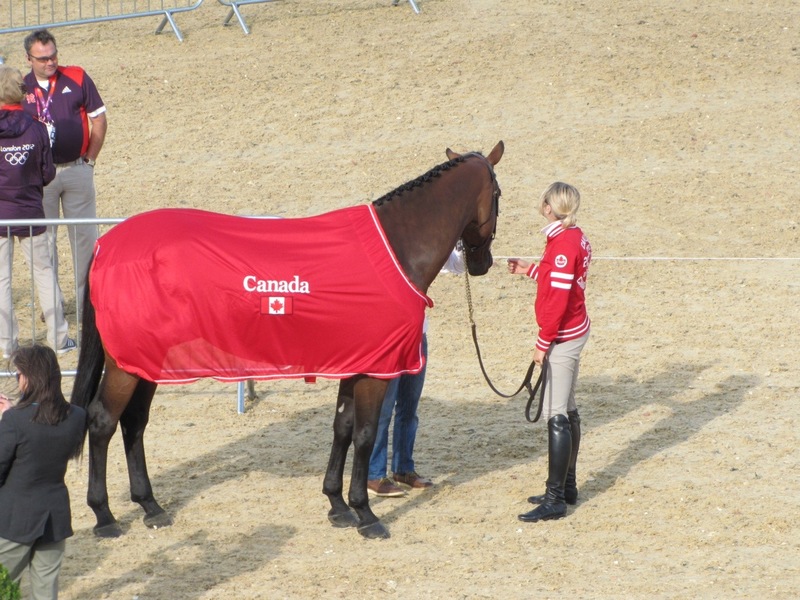 So it was a very hectic day for Tina and I.
Tina and I had a perfect plan laid out, where Tina would stay at the hotel to greet the Jumper athletes and support team, and I would go to the venue to greet the Jumper horses, groom and vet. 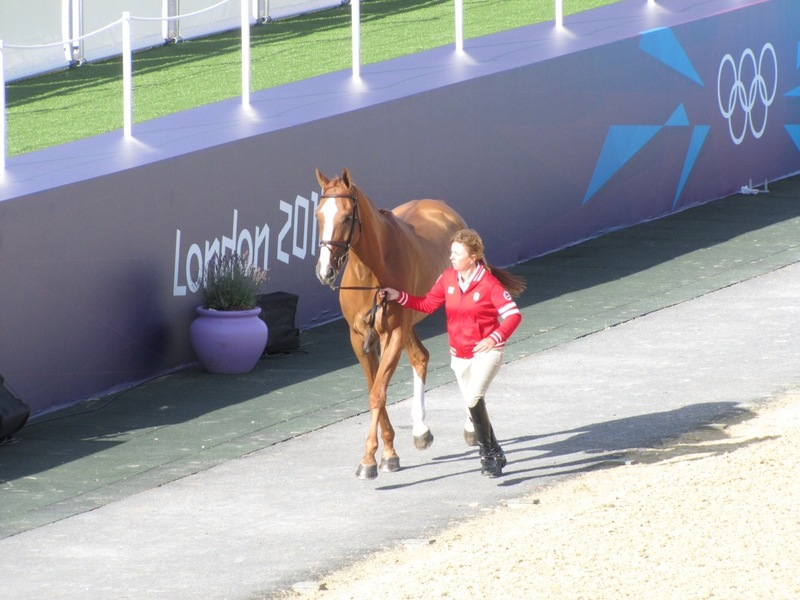 But sadly…..our plan didn’t quite work as Tina had to take one of the Dressage Owners to the Olympic Village in order to sort out their accreditation. The Dressage grooms very kindly bedded down the Jumper stalls so that the horses could walk right in and get settled – thanks Dressage! Unfortunately the horse lorry for the Jumpers broke down en route to picking them up at their training camp, which resulted in a 2-hour delay. But once that was sorted, all horses arrived safely. Everyone else arrived at the hotel pretty much on time, and first order of business was to get them checked into their rooms, get their outfitting kit to them, and take them to the venue where some of the support staff still needed to get their Accreditation validated. The Accreditation process here in London is incredibly tight, and if there is one signature missing, or one piece of information that is not accurate, you can be cooling your heels for several hours. That’s what happened with one of the owner accreds where first there was a missing form (thankfully COC was able to come up with a solution and pull a few favours)…and just when that was sorted, it was discovered that the birth year was off by 1 year. That meant another long wait until LOCOG redid the security check. Luckily I’ve come to know the Accreditation Manager, so he was able to pull in a favour for me and have the owner fast-tracked on the Athlete system, which means the security check only took 1 hour instead of a possible 4. So after 3 1/2 hours, the owner finally had their Accreditation and was able to enter the venue. Phew!! Luckily the owner in question was a very good sport about it. And the very next day I dropped off some delicious “Jubilee” cupcakes to keep the Accreditation folks sweet on us. 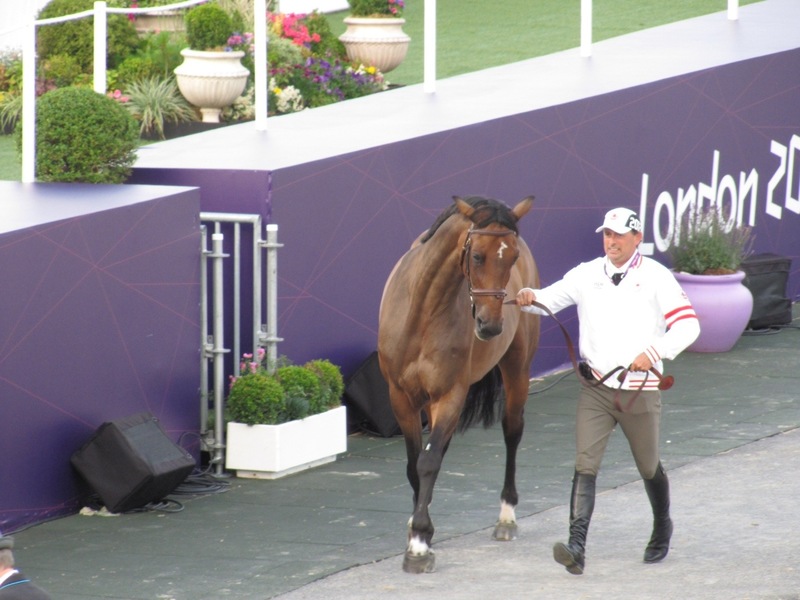 The Jumpers had their first familiarization in the big arena on Friday evening, and everyone looked great. 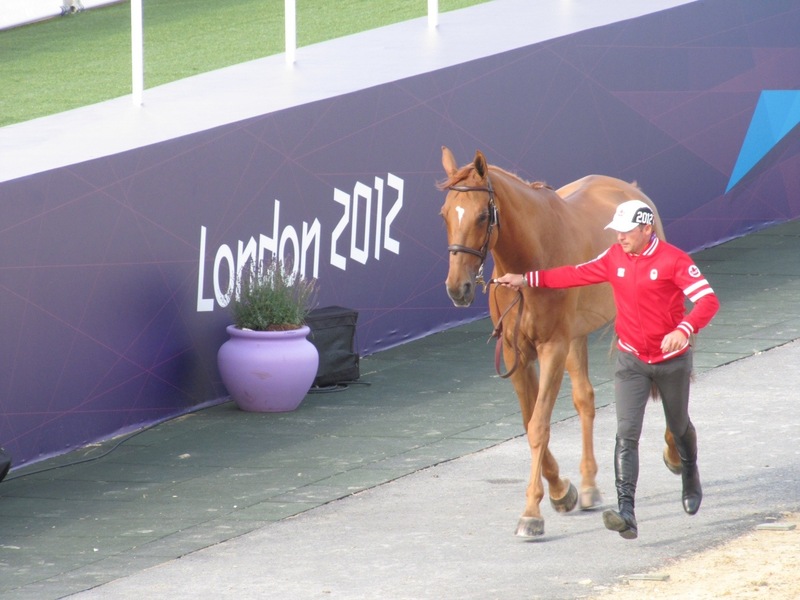 Canada was the first country in, which both Torchy Millar (Chef d’Equipe) and Mark Laskin (Assistant Chef d’Equipe) were quite pleased with as it gave a chance for Canada to be done early and then sit and watch the other competitors. 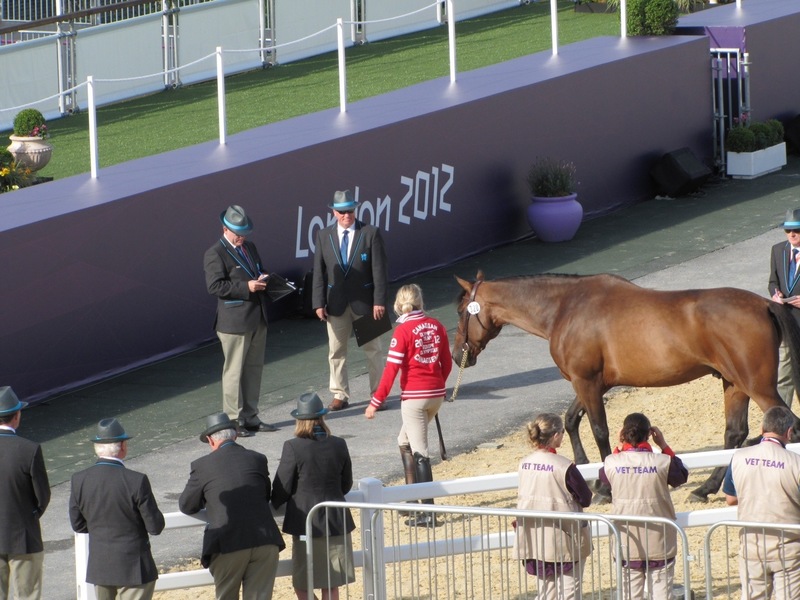 All the horses looked very comfortable in the ring, and the riders seemed to be in very good spirits…..so fingers crossed for the first day of competition!! I”m still having issues with internet connection, so will add photos to this later today. Upcoming posts on Ashley Holzer’s super performance in the Grand Prix (she is now moving on to the Grand Prix Special…woohoo!! 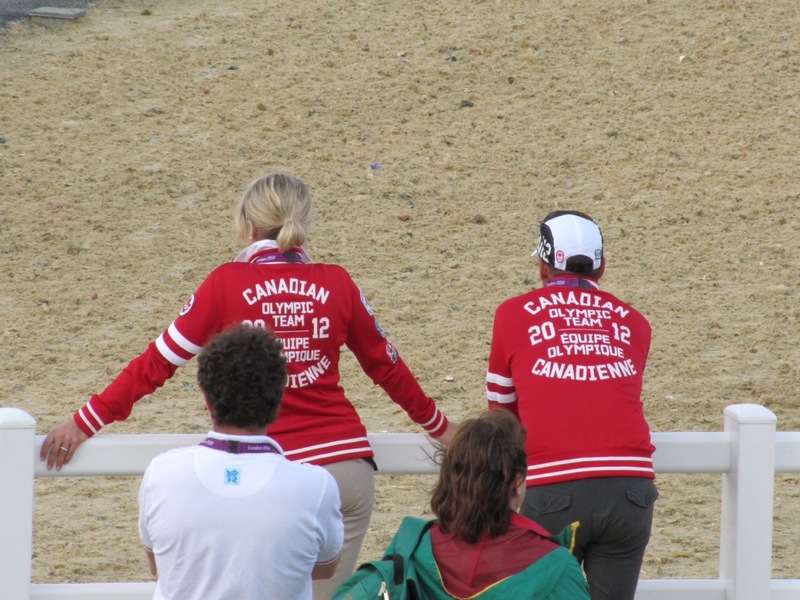 ), an update on Eventing, and of course the performance of our Jumpers in Day 1 of their competition. 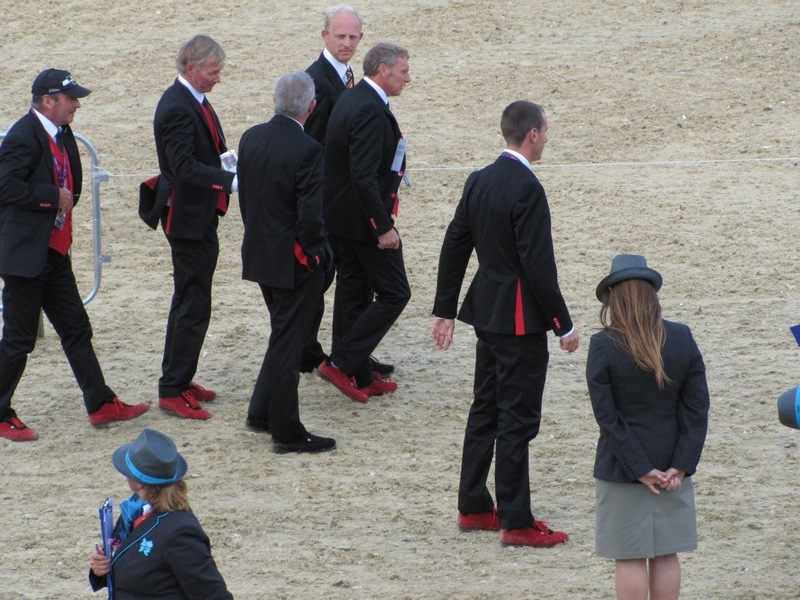 Really loving the outfits worn by the Belgiums. Check out the red lining and shoes?? Kerri, once again, thank you for your blog.. I’m enjoying every minute of your experience. Go Team Canada! !